'1415. The Battle of Agincourt is over, and the young princess Katherine de Valois is the prize to be offered to Henry V of England. The innocent Katherine is smitten with Henry, but soon understands that her sole purpose is to produce an heir to unite England and France. When Henry leaves her a widow at the age of 21, Katherine is forced to resign herself to a quite life as the Dowager Queen; her duty is to raise her son, the young King of England, and little more. I have never heard of Katherine de Valois before picking up this novel. I had no idea that she was the founder of the Tudor line and that she was such an important woman in history. 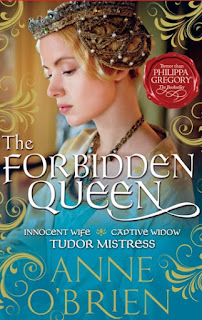 Anne O'Brien tells Katherine's story with such feeling and detail that it's very hard not to like Katherine. 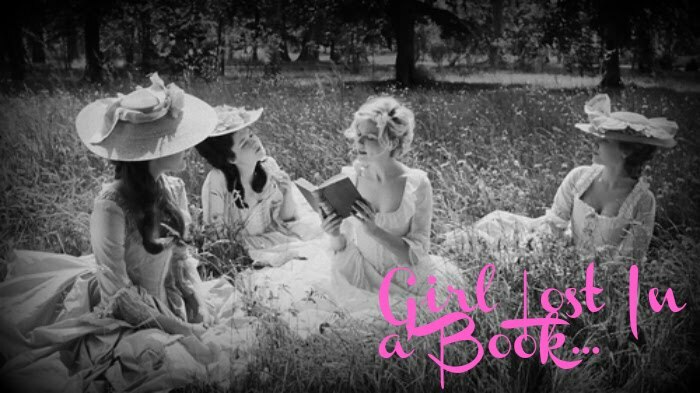 She starts out this book as a young princess in a destitute court in France. She is very unsure of herself and lacks confidence that is required of one of royal blood. She is quite pleased to learn that her parents have arranged a marriage for her to the King of England, Henry V. Eager to throw off the poorness of her childhood, she is anxious to be the wife that Henry needs and expects. From their first meeting she is enthralled with him and it almost becomes a youthful obsession. She is soon disappointed, when Henry doesn't show her attention and uses her only for getting a royal heir. Her hopes and dreams are dashed for a marriage based on love and respect. Soon, Katherine has done her royal duty by providing England and France with an heir, a baby boy named Henry. She is hopeful that this baby will change things in her marriage and is soon disappointed by her husband in this regard. He shows her the same lack of attention, bordering upon neglect as before, while he is on campaign to wage war with France. He never gets the chance to meet his young son as he dies on campaign and leaves Katherine a widow at the age of 21. Now she is unsure what is expected of her, but the government expects her to remain a chaste widow for the good of England and for her son's future. As any young woman of that age, she resents this and wishes only for a man to love her and cherish her. She soon finds herself wrapped up in betrayals of heart as she learns just how men will use her for her royal status. She soon finds herself in love with her servant, Owen Tudor, despite the fact that he is considered to be unsuitable for her. This story covers Katherine de Valois' life through early childhood, through her marriage to King Henry V and her life after his death. I found this to be an intriguing story and I just couldn't get enough. I was a little scared that it was going to be too 'romancy' as MIRA is the publisher, but it wasn't so. It was tastefully done and told the story of Katherine's life without overwhelming the reader with romantic scenes. I highly recommend this book to all historical fiction lovers who want to learn a little more about how the Tudor dynasty was started and about a woman in history isn't often recognized. So as of right now the publication date in the US is still up in the air. Amazon and Barnes and Noble do not have this book listed for the US. Goodreads lists this book as being released tentatively on March 1, 2013 and the author's website states March 15, 2013. If I get a more definite release date for the US I will let you guys know as I know a lot of you will want to read this book. Hate that I can't give an exact release date, but hopefully that will be cleared up soon. Disclaimer: This book was given to me by the publisher for free, through Netgalley, in exchange for my review. I reviewed this book without compensation of any kind. All thoughts and opinions are solely mine. Oh this sounds fantastic, I haven't read one on Katherine Valois yet. Here we go again with tons of great reads for 2013! I know..my tbr pile is going to be massive. I can't wait to read this one. I've enjoyed the two other O'Brien books I've read, especially The King's Concubine. I just bought Queen Defiant today, having never read this author before. i am trying to read my way through the Henry's and this book sounds like it would fit nicely. Hope you like this author's writing. I liked it a lot. I've read one of Anne's books before and am looking forward to reading this one. Thanks for sharing. Pick it up if you get a chance!